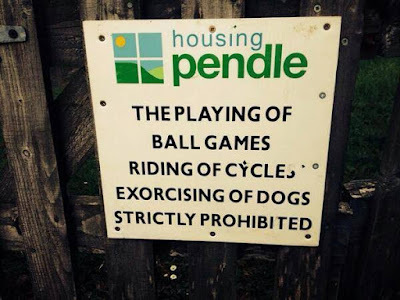 Theresa's Haunted History of the Tri-State: Friday Funny: Hell Hounds Welcome! Ha! Here's a little Demon Week humor for you. I'm not gonna lie---I had to read that twice. 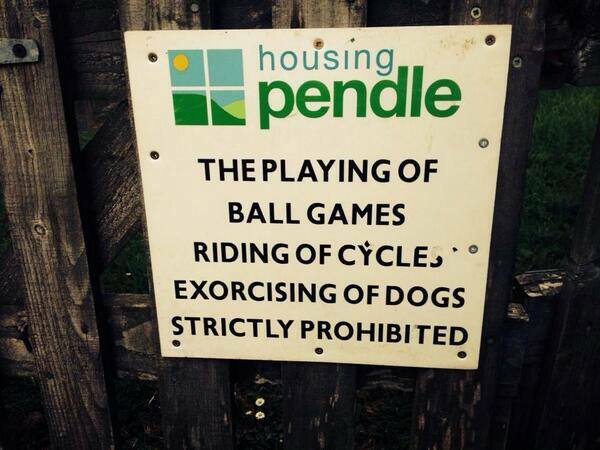 I guess Hell Hounds are perfectly acceptable in the common areas of Pendle College's student housing? Hehehehe...anyway, apparently this sign is a clever lil' play on words in reference to the Pendle Witch Trials, England's most famous and well documented set of witch trials in history. What do you think...is this sign funny, meh, or just in poor taste?